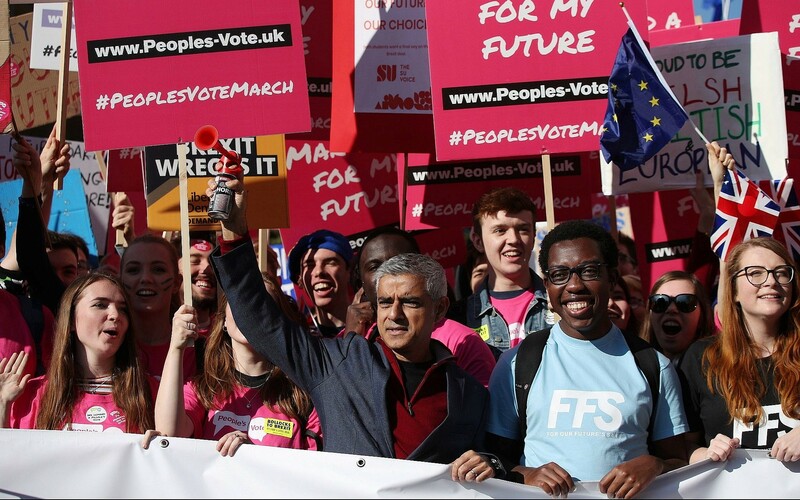 Khan said Saturday's protest was a "march for the future" for young Britons, including those who were too young to vote in Britain's 2016 Brexit referendum, when those who favoured leaving the European Union won narrowly by 52 per cent. It's time it was returned to the British people. "Well, of course they can, but I don't know why they weren't protesting before the referendum", Wootton replied. Whatever your feelings on Brexit or how the European Union referendum was sold to voters, it seems like a no-brainer that we should get to choose if we're OK with the final deal or not, since no one knew what it'd be when placing their cross in the Leave or Remain box. 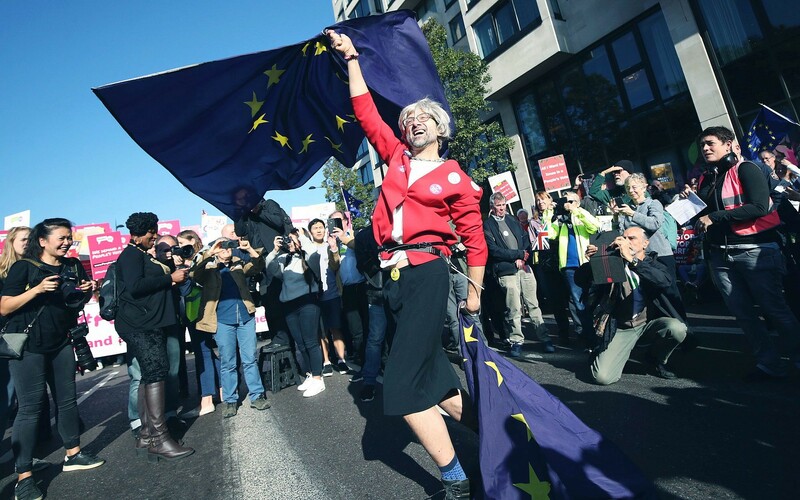 The Labour peer said that it is vital for Theresa May to listen to the people who marched, but Nigel Farage said that a lot of people who voted to leave would not have something to vote for. If, however, parliament gets to the point where a firm decision is impossible, the argument that a second referendum could be used to end the impasse is likely to be harder to dismiss. Celebrity cook Delia Smith, Dragons' Den businesswoman Deborah Meaden and London Mayor Sadiq Khan are among the speakers at the event, which is being compered by broadcasters Richard Bacon and Mariella Frostrup. "They now want a second referendum to go back to the British people and say 'Oh, we're terribly sorry - we think you've got it wrong", May told parliament on Wednesday. "We can't have a vote that renders meaningless the outcome of the referendum". I was really impressed that there were so many more young people and really people were there from all over the country. Protesters originally gathered near Hyde Park and then walked past Downing Street and finished outside parliament where they listened to politicians from all main political parties. Foreign Office Minister Sir Alan Duncan, de facto deputy to Foreign Secretary Jeremy Hunt, said Conservative MPs and ministers now have a duty to prove they can deliver a sensible Brexit that was in the national interest. "There's no deal, none, that provides all of the same benefits as European Union membership", she said. "I'm 16, Brexit stole my future!" read another placard. The UK is scheduled to leave on March 29, 2019, under Article 50. Whether you voted Leave or Remain, no-one voted for this omnishambolic clown-car catastrofuck Brexit. "It's time the great silent and not-so-silent majority made their feelings known about Brexit", anti-Brexit activist Gina Miller wrote in The Independent newspaper. "Now we will take this energy and positivity back to continue our campaigning on the island".